Clarke Energy, working alongside sister company Kohler SDMO, has assembled the first diesel generating set at their new assembly plant in Lagos. The plant has been opened in order to improve the costs and availability of the Kohler-SDMO diesel generating sets in Nigeria, whilst creating jobs in the country and expanding Clarke Energy’s existing local capabilities. Due to import tax imposed by the government, it was identified that it was essential to set up a local facility to deliver competitiveness and profitability whilst maintaining the highest standards of manufacturing using technicians trained in the UK and France. The first diesel generators off the production line were Kohler-SDMO J44 and J33 soundproof version which have been sold to a historical / Kohler-SDMO distributors in Nigeria. 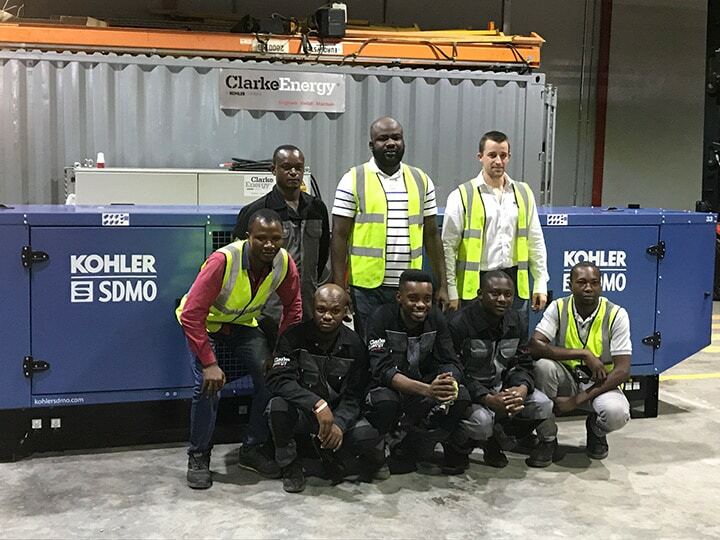 Yiannis Tsantilas, Clarke Energy’s new Managing Director for Nigeria, and David Raison, Africa Regional Director for Kohler-SDMO commended the Clarke Energy and Kohler-SDMO teams for combining superbly to deliver the first of many diesel generating sets from the production line. Special thanks were given to Wale Onagbola and his production workers, as well as Marc Etevenon, Jean-Etienne Patinec and the rest of the Kohler-SDMO team for their dedication and hard work in making this project a success. The assembly plant is the first of its type by Clarke Energy in any of the 25 countries in which the company operates in. Clarke Energy has been working in Africa since 1998 when the company was granted the rights to distribute the Jenbacher gas engine product in Nigeria. This new facility demonstrates their continued commitment to international trade in the African continent where Clarke Energy has delivered over 360MW for a wide range of applications with an emphasis on local service and aftersales support. This is another successful collaboration with Kohler Power and Clarke Energy teams following Clarke Energy being awarded the official distributorship of Kohler power solutions in Australia, Tanzania, Tunisia and combining of team resources in India. 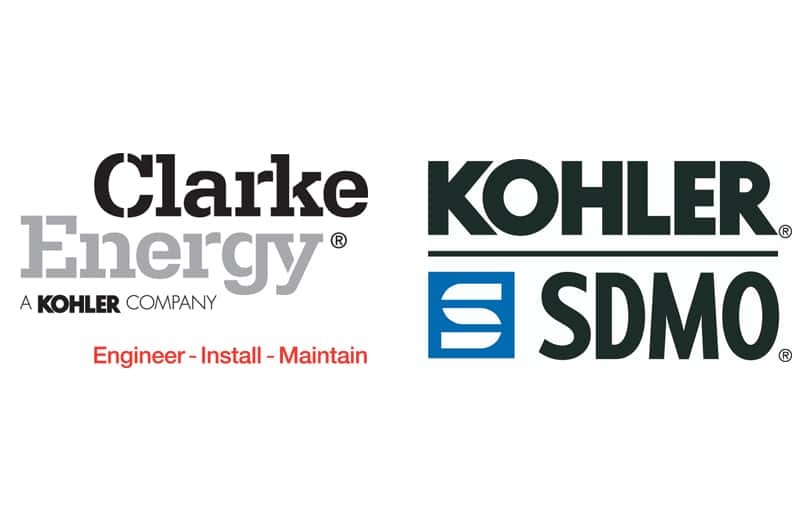 Both companies have been working together in unison to share Kohler Power’s production expertise, along with Clarke Energy’s market leading in country distribution and service support model backed up by application engineering, installation and commissioning teams. Clarke Energy’s first hybrid power plant located at OK Plast in Nigeria a demonstration site for the future development of microgrid capabilities.